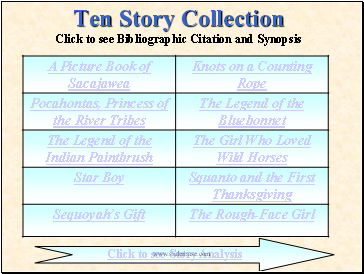 This is a collection of North American Indian tales and stories to be used with the third grade Native American Indian unit. The unit will not only meet the state objectives but will promote the “right choice” program adopted by our school. 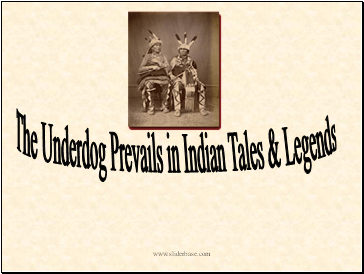 The purpose of this project is to use Native American Indian tales to show how unselfish acts of the “undesirable” can change the lives of many. The power of choice plays a definite role in each of these stories. This project will enhance the existing unit by stimulating critical thinking skills. 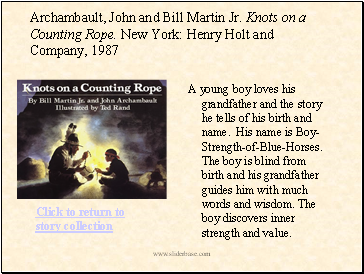 The books in this collection are a combination of fiction and non-fiction stories. I like the combination of the two to show that real people ,like themselves, can be used to empower a nation of people and it does not always exist in the world of make-believe. Students will analyze character behaviors, study the various plots to determine similarities and differences and look for symbolism within and amongst the stories. I used my school’s library WEBPac system to locate most of my resources. I typed in keywords and then a list of titles were given. I discovered that my library is well stocked with Native American Indian literature. I used the internet search engine, Ask Jeeves, and the Irving Public Library. 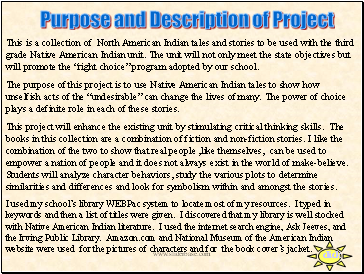 Amazon.com and National Museum of the American Indian website were used for the pictures of characters and for the book cover’s jacket. Adley, A. David. 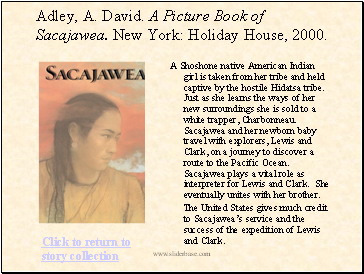 A Picture Book of Sacajawea. New York: Holiday House, 2000. A Shoshone native American Indian girl is taken from her tribe and held captive by the hostile Hidatsa tribe. Just as she learns the ways of her new surroundings she is sold to a white trapper, Charbonneau. Sacajawea and her newborn baby travel with explorers, Lewis and Clark, on a journey to discover a route to the Pacific Ocean. Sacajawea plays a vital role as interpreter for Lewis and Clark. She eventually unites with her brother. The United States gives much credit to Sacajawea’s service and the success of the expedition of Lewis and Clark.